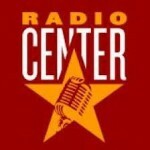 Radio Center Love is broadcasting from Ljubljana, Slovenia. This radio station is playing various genres of music of love songs. This radio station is popular for playing love songs around the clock 24 hours live online. Radio center is under the largest radio network of radio center.